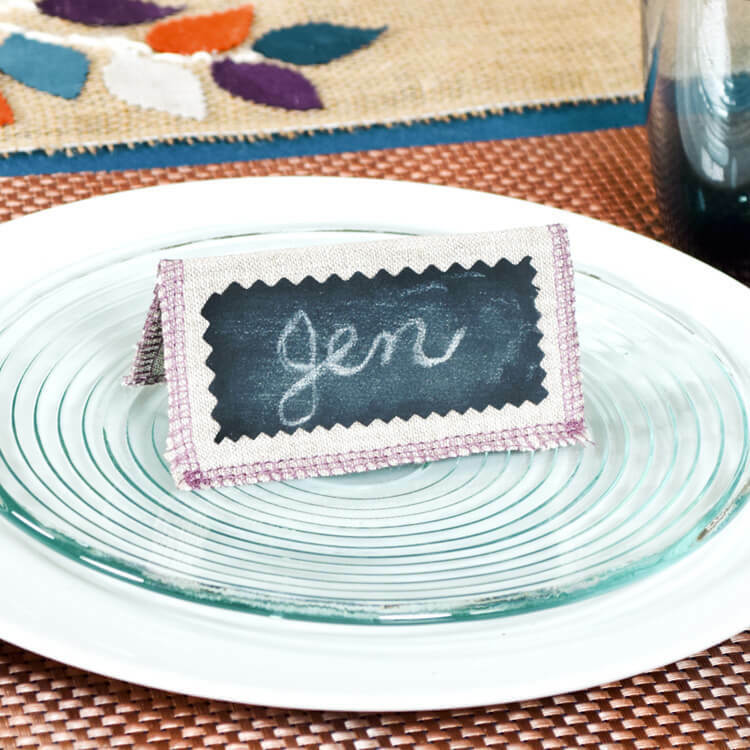 Make simple place cards with linen, stabilizer, and chalkcloth so you can reuse them! 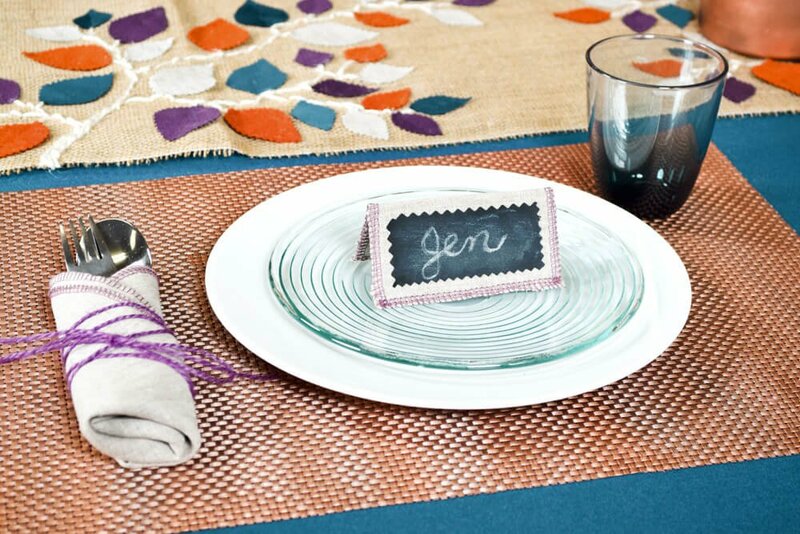 To complete your table settings and decor, check out 7 Projects for Your Table Decor. Want to get the printable PDF instructions? Sign up to our mailing list to download the PDF. Sign Up Here! Ultra Sharp Pinking Shears - 9"
Cut two 4.25″ squares of linen fabric and one 4″ square of two-sided fusible stabilizer. 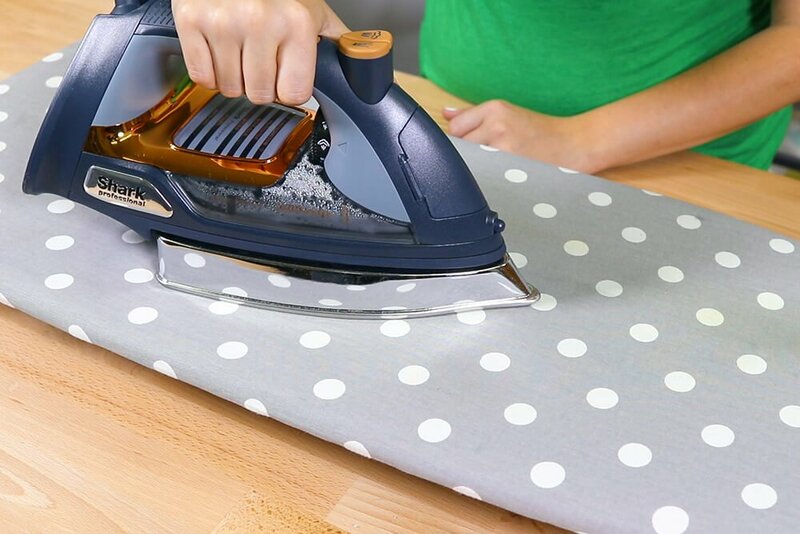 Place the stabilizer between the linen squares and iron on both sides. 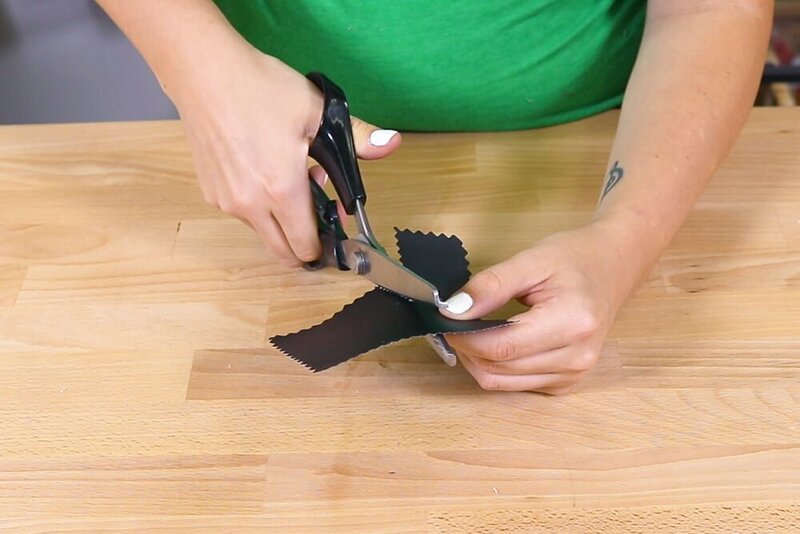 Finish the edges by serging or sewing with a zig-zag stitch. 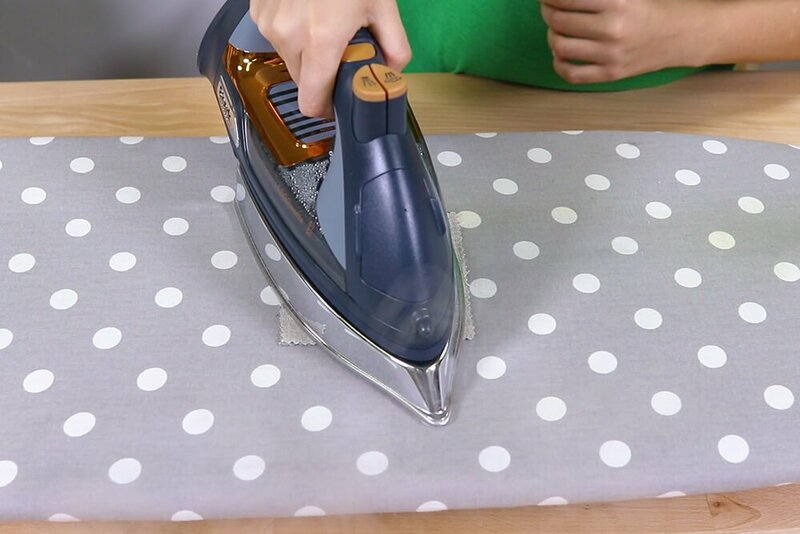 Fold in half and iron flat on both sides. Cut a 1.5″ x 3.5″ rectangle out of the chalkcloth fabric. Cure the chalkcloth by rubbing chalk on it then wiping it clean. 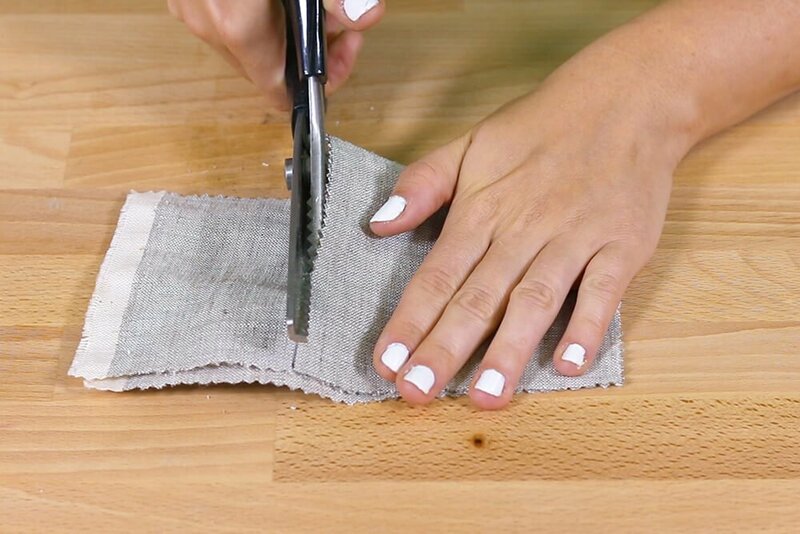 Glue the chalkcloth to one side of the linen. Find more fall table decor projects here! How to make envelope pillows with ties?